Elisabeth of Wied, the first Queen of Romania (* 1843 in Neuwied, Germany, † 1916 in Bucarest, Romania), published under the literary name "Carmen Sylva" numerous books, which had a wide public at the end of the 19th century. 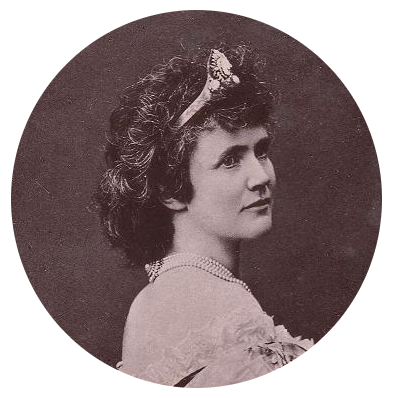 As a "poet on the throne" and with the means of literature she suceeded to make the new Kingdom of Romania well-known especially in Western Europe. She was very appreciated at her time for her engagement and her succes as a cultural mediator, and she is considered untill today to be one of the most important mediators of Romanian literature and culture in the space of German language. Elisabeth of Wied is one of the most prominent personalities of the German Princely House of Wied, and she remained all her life very fond of her place of origin Neuwied on the Rhine. Elisabeth's humanitarian thinking, her social engagement, her culture, education, and preparation to become a later sovereign and mother of a nation ("Landesmutter") are all rooted in the opend-minded princely family of Wied. This background was very important for her further evolution as a Queen of Romania at the side of her husband, King Carol I. of Romania, who was originally from the German Princely House of Hohenzollern-Sigmaringen. They were both bound by the same notions of duty and morality, and they considered the political, cultural and economical modernisation of Romania as their joint mission as a royal couple. The Research Center Carmen Sylva of the Princely Archive of Wied in Neuwied is an initiative in memory of Elisabeth of Wied, the first Queen of Romania and writer Carmen Sylva (1843-1916). Its aim is the interdisciplinary research about the life, works and activity of Queen Elisabeth of Romania - Carmen Sylva - in the intercultural context of her times.